UPPSC PCS 2017 Main admit cards are released for the re-examination to be conducted on 7th July 2018. The re-examination will be conducted on 7th July 2018. The exams will be held in the centres at Allahabad and Lucknow. Go to the official website - http://uppsc.up.nic.in/. You will be redirected to admit card download page. Enter your registration number, date of birth, and gender exactly same as entered in the UPPSC application form. Enter the verification code and click on ‘Download Admit Card’ button. The admit card will appear on the screen, download and take a print out. Only those candidates whose application status is not rejected can download the admit card. You can check your application status from the admit card download page as mentioned above. 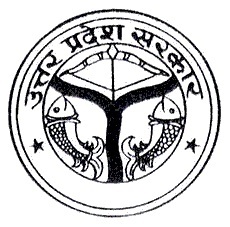 Secretary UPPSC, Jagdish, said those candidates whose admit cards don’t have photographs are required to bring two passport size photographs and original ID proof (with two photocopies) else they would not be allowed to appear for the re-exam. On 19 June at the Government Intermediate College (GIC), Allahabad centre, the Essay question paper of second shift was distributed in the first shift during the UPPSC PCS 2017 Main exam. This resulted in the cancellation of the exam and GIC was debarred as an examination centre. Several other centres were finalised in its place. An FIR was also filed against the supervisor (UPPSC), centre superintendent, supervisor, static magistrate and the printing press. A two-member panel was also constituted to probe into the matter.